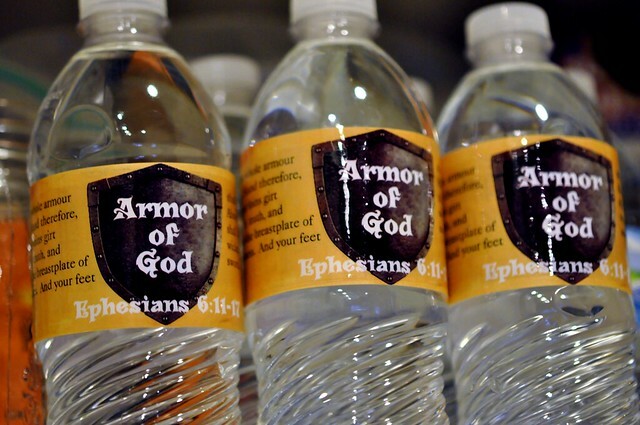 One of my most popular posts is a Jesus is the Living Water Bottle Labels here. 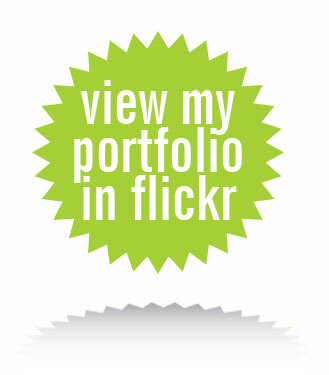 I’m not sure I quite understand the craze of custom water bottle labels but they are kind of fun! 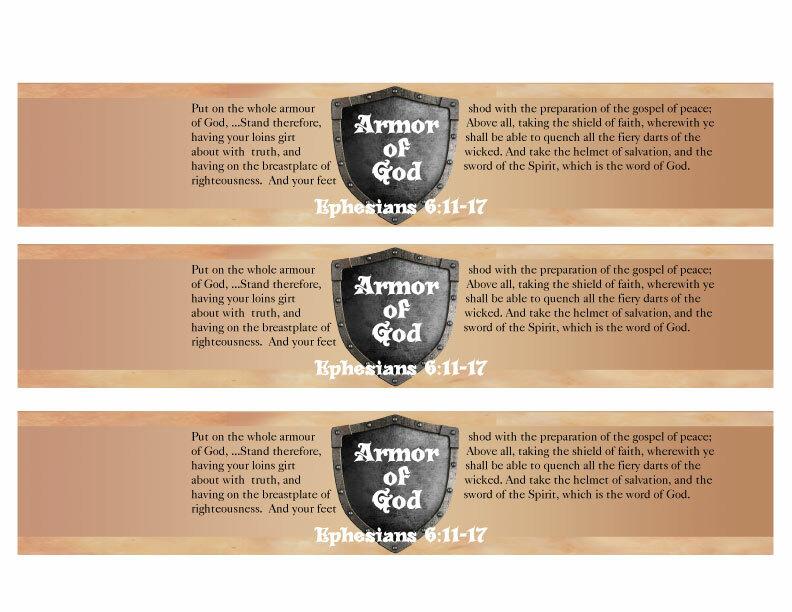 Here’s an Armor of God water bottle label quoting parts of Ephesians 6:11-17. Just print, trim, wrap on the bottle and tape. Enjoy!